Submit a Design to Project Open Squish! 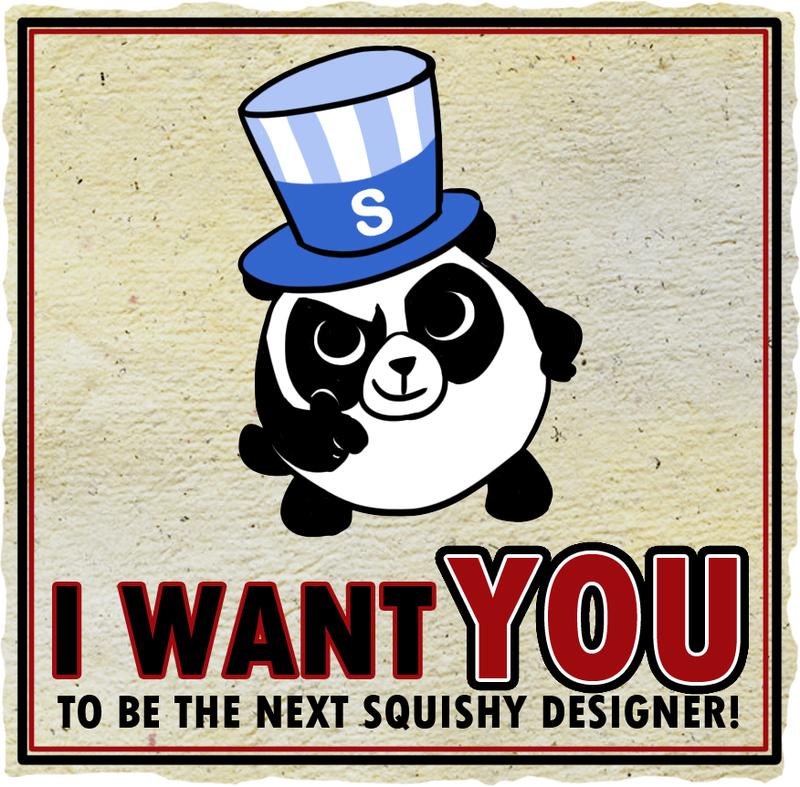 Is your Squishable design ready for the big time? We're really excited to see it! 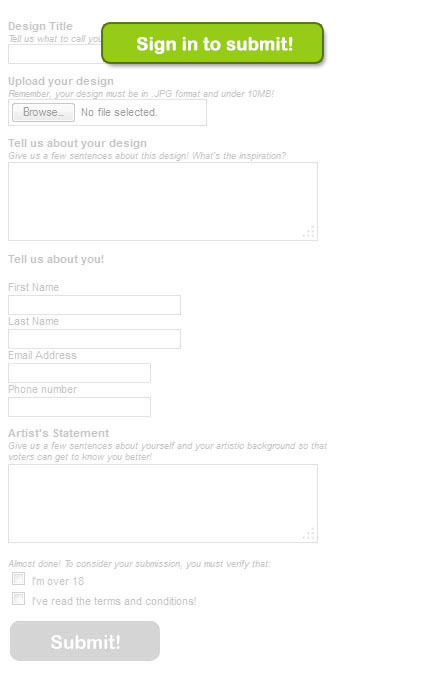 Before you submit, check your design over one last time. Have you looked through all of the Open Squish requirements? Is it less than 10MB? Are you feeling pretty confident in the artwork and concept? If not, consider first posting it to the Squishable Facebook page or the Squishable Critique page to get feedback and ideas from your fellow fans! All set? Then let's do this! Below are the full Open Squish terms and conditions! It's really important that you read through them before submitting! For serious! Want your own copy? View the TXT here. C. Although we may attempt to notify you when major changes are made to this Terms of Service, you should periodically review the current version of the Terms of Service. Squishable, in its sole discretion, may modify or revise these Terms of Service and policies at any time, and you agree to be bound by such modifications or revisions. Nothing in this agreement shall be deemed to confer any third-party rights or benefits. Each round of Project Open Squish is considered a separate contest. Any updates to the Terms of Service will apply to entries posted for voting after the date listed in Section 21 below. A. The information and materials on this Website are provided for general informational purposes. You may use this Website solely for the purposes of learning about and/or purchasing Squishable products. You may not use, reproduce or distribute the text, graphics, downloads, tools or any other content on this Website for any other purpose. You may not use this Website if you are under the age of thirteen (13) without parental supervision. B. In order to access certain features of this Website, you will have to create an account. You may not use another user's account, whether or not you have permission. You are solely responsible for the activity that occurs on your account, and you must keep your account secure, including refraining from giving anyone else your password. You may update your password at any time by logging into your account at�https://www.squishable.com/s/LOGN�and visiting the My Account page. When creating your account, you must provide accurate and complete information in all required fields of the registration form. You agree to immediately notify Squishable of any unauthorized use of your password or account or any other breach of security. Squishable cannot and will not be liable for any loss or damage arising from your failure to comply with Section 2 of the Terms of Service. C. By registering with Squishable, you represent that you are of legal age to enter into a binding contract and you are not a person barred by any laws from using the Squishable Website. You agree to provide proof of your age and identity upon request. D. The Website may contain links to third party sites that are not owned or controlled by Squishable. Squishable has no control over, and assumes no responsibility for, the content, policies, or practices of any third-party sites. By using the Squishable Website, you specifically release Squishable from any and all liability arising from your use of any third-party website. You agree that Squishable may, without cause or prior notice, and without liability to you or any third party, immediately terminate your Squishable account, any promotion, award, coupon, user-uploaded content or comments associated with your account and/or your email address. j. No cause at all. The content on the Website, except all User Submissions (as defined below), including without limitation, the text, graphics, and photos created by and for Squishable, interactive features ("Content") and the trademarks, service marks and logos contained therein ("Marks"), are owned by or licensed to Squishable, subject to copyright and other intellectual property rights under United States and foreign laws and international conventions. Content on the Website is provided to you AS IS for your information and personal use only and may not be used, copied, reproduced, distributed, transmitted, broadcast, displayed, sold, licensed, or otherwise exploited for any purpose whatsoever without the prior written consent of Squishable or as expressly provided herein. Squishable reserves all rights not expressly granted in and to the Website and the Content contained therein. You shall be solely responsible for your own User Submission and the consequences of posting or publishing them. By posting a User Submission, you unconditionally grant all worldwide ownership rights in the User Submission to Squishable. Squishable can use User Submissions, and the ideas contained therein, for any purpose and in any way. Apart from Design Contests (see below), Squishable does not solicit ideas for new products, services, technologies, marketing campaigns, new lines of business or product names. Any such unsolicited ideas, whether made through the Website or through any other method of communication, will be treated as a User Submission and become the property of Squishable, without compensation to you. If you choose to post User Submissions on Squishable Web pages, we require that you adhere to generally accepted rules of etiquette and standards of behavior, and that your use of the Website reflects your respect for the legal rights of other users. You understand that Squishable does not guarantee any confidentiality with respect to any User Submission. Squishable expressly disclaims any and all liability in connection with User Submissions. Squishable reserves the right to remove Content and User Submissions in its sole discretion and without prior notice. Squishable also reserves the right to terminate a user's access to the Website at any time in its sole discretion and without prior notice. The following rules of conduct apply to your use of the Website and to any and all materials you post on Squishable's website, including text, data, graphics, audio or video content, chat, messages, files or other material (collectively User Submissions) whether the User Submission is included in blogs, discussion groups, emails, contests, profiles, comments, or any other portion or feature of Squishable. Certain sections of the Website allow you to vote in contests and surveys for entertainment purposes. Squishable reserves the right to cancel, subtract or otherwise invalidate votes it suspects were submitted in violation of Section 3(g) or 3(i) of this agreement, or if Squishable suspects for any reason that one or more individuals created more than one account per individual for voting purposes. Squishable reserves the right to, with or without an explanation or�cause, end any vote at any time or reset vote totals. The results of any contest or survey on the Website do not convey or create any rights of property, contract or specific performance on or to any participant, contest entrant or user and are exclusively for entertainment purposes. No purchase is necessary to participate in any contest operated by Squishable. If you submit artwork to Squishable (hereinafter the "Design") as part of a contest (such as Project Open Squish) or other solicitation of User Submitted designs, you acknowledge that you assign to the entire right, title, and interest in and to the copyright in your Design including the right to sue for past infringement and the right to further sublicense the Design, for its sole and exclusive use on and in connection with the Items. You also acknowledge that you waive all "moral" rights that you may have in and to your Design. You acknowledge that the Design you are assigning to Squishable is your own original work, has not been previously published, and does not contain any trademarks, logos, copyrighted material, or any other intellectual property belonging to any third party, or any material, which Squishable in its sole discretion, deems to be profane or offensive.�You also agree to indemnify and hold harmless Squishable against any legal action arising from any legal action brought against Squishable for copyright or trademark infringement involving the Design. You acknowledge that Squishable reserves the right modify the Design or to decline to select a Design for consideration for any reason, at its sole discretion. You acknowledge that you are 18 years of age or older and are able to enter into legally binding contracts in your jurisdiction. If a Design you submit is selected for use by Squishable to make a 15� Squishable or large Comfort Food prototype, you will receive: a $500 check and a $100 Gift Certificate, good for use on the Squishable Website. If a Design you submit is selected for use by Squishable to make a Mini or Micro Squishable prototype, you will receive: a $250 check and a $50 Gift Certificate, good for use on the Squishable Website. If Squishable manufactures the prototype in more than one size, you will receive the check corresponding to the size produced for each size after the first. If the Design you submit is used in advertisements, sales materials, store displays, digital images or any other derivative work based on your design that is not a plush, you are not entitled to an additional payment. Payment will be sent within ninety (90) days after Squishable notifies you that the Design you submitted has been selected for production. You alone will be responsible for the payment of any tax that arises as a result of receiving payment from Squishable. In order to receive payment, U.S. persons must be able to furnish an IRS Form I-9 in order to receive payment. Pursuant to applicable U.S. law, payments under these terms will not be made to persons who reside in Cuba, Iran, Syria, North Korea, Sudan and Burma (Myanmar) or to select persons who are prohibited from receiving such payments. If a Design you submit is selected for use, Squishable will attempt to make a physical prototype of the Design, but reserves the right to refrain from manufacturing the Design into a Squishable product available for sale to the public. If a Design you submit is selected for use but is not manufactured for sale by Squishable, you will still receive the payment listed above for the size Squishable product we produce in prototype. You will also receive the final physical prototype if one is produced. In this case, Squishable still reserves all rights in the Design, including all intellectual property rights and the right to manufacture the product in any size at a later date. Participants, who in the opinion of Squishable, do not comply with these Design Submission Legal Terms and Conditions, or for any other reason at Squishable's sole discretion, can at any time be excluded from consideration without notice. 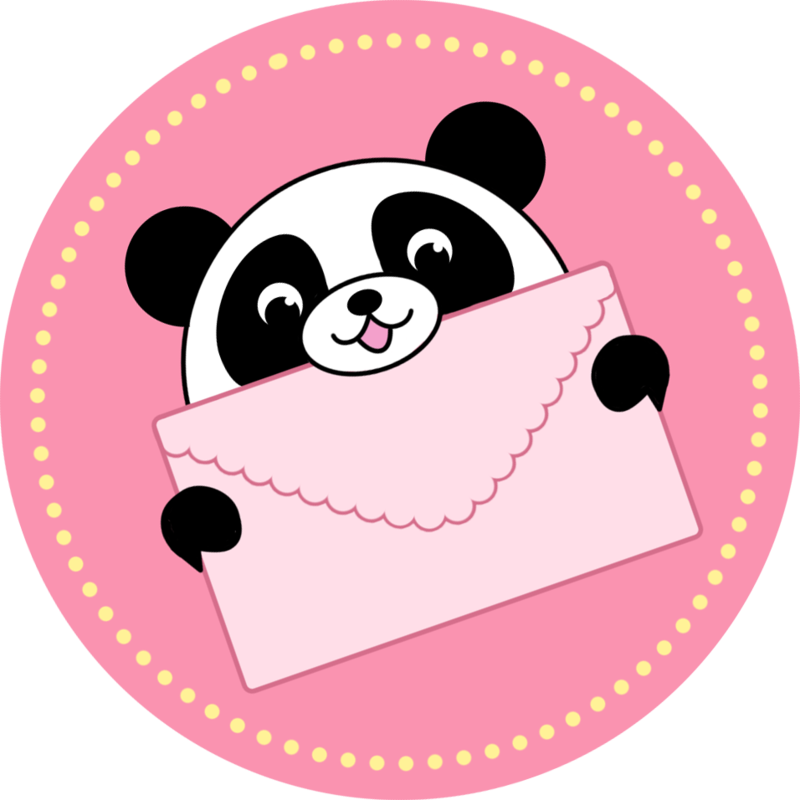 The decision of whether or not to feature a Design in a contest is solely at the Squishable�s discretion. The decisions of Squishable are final and binding. Squishable reserves the right at any time and from time to time to modify or discontinue, temporarily or permanently, the Website (or any part thereof) with or without notice. Squishable shall not be liable to you or to any third party for any modification, suspension or discontinuance of the Website. Despite our best efforts, mistakes do happen, and there may be cases where items on the site may be mispriced or coupon discounts may be applied incorrectly. If an item's correct price is higher than our stated price or a coupon error occurs, we will, at our discretion, either contact you for instructions before shipping or cancel your order and notify you of such cancellation. YOU AGREE THAT YOUR USE OF THE WEBSITE SHALL BE AT YOUR SOLE RISK. TO THE FULLEST EXTENT PERMITTED BY LAW, SQUISHABLE, AND ANY PARENT, SUBSIDIARY, AFFILIATE, DIRECTOR, OFFICER, EMPLOYEE, LICENSOR, DISTRIBUTOR, SUPPLIER, AGENT, RESELLER, OWNER, OR OPERATOR OF SQUISHABLE, DISCLAIM ALL WARRANTIES, EXPRESS OR IMPLIED, IN CONNECTION WITH THE WEBSITE AND YOUR USE THEREOF. (VI) ANY ERRORS OR OMISSIONS IN ANY CONTENT OR FOR ANY LOSS OR DAMAGE OF ANY KIND INCURRED AS A RESULT OF THE USE OF ANY CONTENT POSTED, EMAILED, TRANSMITTED, OR OTHERWISE MADE AVAILABLE VIA THE WEBSITE. Squishable does not warrant, endorse, guarantee or assume responsibility for any third-party website linked to on the Squishable website. Squishable will not be a party to or responsible for any transaction between you and any third-party site. No communication between you and Squishable, whether written or oral, shall create any additional warrantee or guarantee that is not expressly stated in the Terms of Service. You should use your best judgment and exercise caution where appropriate. In no event shall Squishable or any affiliate, director, subsidiary, officer, employee, licensor, distributor, supplier, agent, reseller or owner of Squishable, be liable to you for any direct, incidental, special, punitive or consequential damages whatsoever from any personal injury, unauthorized access to your computer or other online accounts, unauthorized access to your Squishable account, any interruption of service from our website, any bugs, viruses, Trojan horses or other malicious code, or any errors or omissions in content. The foregoing limitation of liability shall apply to the fullest extent permitted by the law in the applicable jurisdiction, whether based on warranty, contract, tort or any other legal theory, and whether or not the company is advised of the possibility of such damages. In addition, you specifically acknowledge that Squishable shall not be liable for User Submissions or for any conduct by a third party and that the risk of harm or damage from User Submissions or third party content posted to the Squishable website rests entirely with you. The Website is controlled and offered by Squishable from its facilities in the United States of America. Squishable makes no representations that the Website is appropriate or available for use in other locations. Those who access or use the Website from other jurisdictions do so at their own volition and are responsible for compliance with local law. The Squishable Website is � 2009-2019 Squishable.com, Inc. All Rights Reserved and no portion of the Website may be copied, reproduced, transmitted, derived, or otherwise used for any purpose without the prior written permission of Squishable. All of the Squishable trademarks, including but not limited to �Squishable,� �Project Open Squish,� �Fuzzy Memories� and �Comfort Food� are owned by Squishable.com, Inc. and may not be used for any purpose without the prior written permission of Squishable.